This script is meant to be used with Natha's Numenera character sheets (the red buttons in particular). The functions included in the script are aimed at making Numenera rolls, and updating the relative character stat Pools. Sheet must be in version 4.5+: chat outputs and error messages are managed through the sheet's templates. New! Stat roll that can be called easier by macros. 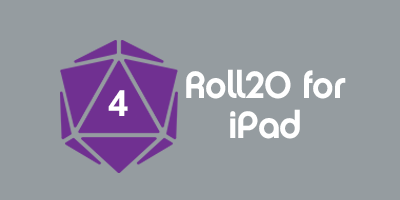 Calls statRoll(character-objet,name-of-the-attibute,who-rolled, difficulty, Stat-expense,Assets,Effort-on-Roll,Effort-on-damage,Bonus-to-roll,Skill-level). (see the comments of the function below for details). Stat roll (called from the sheet mainly, as it requires a character id). Calls statRollFromSheet(character-objet,name-of-the-attibute,who-rolled), see the comments of the function below for details. Recovery roll (see the comments of the function below for details). Apply damage (or healing if damage-dealt is negative ...) to Numenera NPC/Creature. Functions statRollFromSheet, recoveryRoll, initRoll and restChar are for players (or GM), and can be called by clicking the RED buttons on the sheet. Errors and/or alert messages (insufficient stat pool points for example) are output in the chat using the "nathaNumMsg" roll template. Chat output uses the "nathaNumRecovery" roll template. BEWARE: Not the standard Numenera initiative roll! The initiative roll is meant to be sorted/compared to (Level*3) of the NPCs/Creatures. Every necessary parameters for this function are attributes of the character sheet. Damage track and token state are checked/updated by calling checkCharStates(). Chat output uses the "nathaNumInit" roll template. Gets the necessary parameters for this function as attributes from the character sheet (except the stat name). And then calls statRoll(character-objet,name-of-the-attibute,who-rolled, difficulty, Stat-expense,Assets,Effort-on-Roll,Effort-on-damage,Bonus-to-roll,Skill-level). Might/speed/intellect roll (with eventual roll effort, additionnal cost, damage effort, bonus and skill level) against a difficulty (optional). Difficulty is the level of difficulty, not the target number. The target number is calculated by the function. If difficulty equals 0, the roll still happens, but is not confronted to any difficulty: instead of calculating success, it calculates the highest difficulty beaten. Unless d20 rolls a natural 20, pool points cost is calculted (using edge) and expended, if necessary and if possible (not enough stat Pool points ends in an error message). Skill level should go from -1 (Inability) to +2 (Specialized). Chat output uses the "nathaNumRoll" roll template. Rolls a recovery rolls and advances the recovery track. Applies damage (or healing if damage-dealt is negative) to a Numenera NPC/Creature. And sets "death" marker if health is 0 or less. This page was last modified on 25 August 2015, at 09:28. This page has been accessed 4,098 times.